Carter gained a lot of attention in college at Ohio State where he became known for his acrobatic one-handed catches and his keen ability to keep his feet inbounds when it counted. He received the opportunity to continue his on field antics when the Philadelphia Eagles selected him in the 4th round of the supplemental draft in 1987. He stayed there until 1989, when he was claimed off waivers by the Vikings. Carter played for 16 seasons in 234 career NFL games with the most notable portion in a purple jersey (1990-01). As a Viking, Carter set a team record for WRs by playing in 188 and starting in 177 games. He also holds the team records for catches (1,004), receiving TDs (110), receiving yards (12,383), and the most 100-yard receiving games (40). 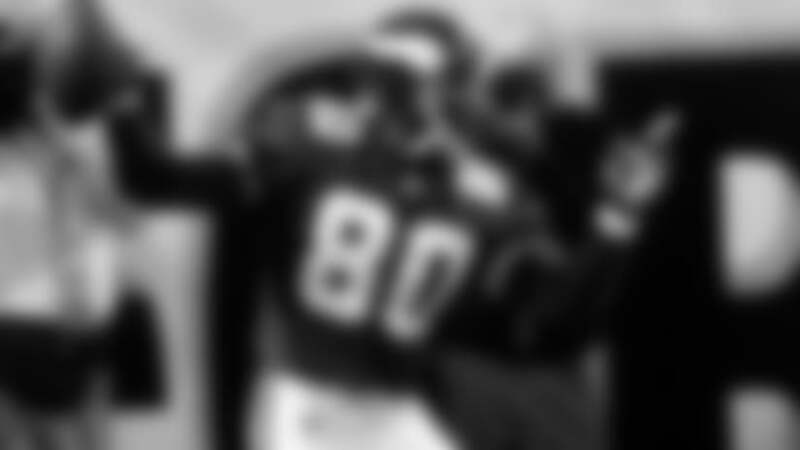 His other accolades include playing in 8 straight Pro Bowls (1993-2000), named all All-Pro 4 times, and being named to the NFL’s Team of the Decade for the 1900s. Carter also was busy off the field in his community and was honored with the Byron “Whizzer” White Award by the NFL Players Association and the NFL Walter Payton Man of the Year Award in 1999. The Vikings inducted him into the Ring of Honor on September 14, 2003 and he was enshrined in 2013 into the Pro Football Hall of Fame as the 275th member.